Companion Air is not only a new kind of airline, providing safe comfortable travel to pets and their families, but we are also a new kind of company. At Companion Air, our team is what defines us. We are dedicated to creating a company with a clear purpose and an environment where people are truly part of our venture. Those who join the Companion air team will have the opportunity to be part of something unique and meaningful. They will enjoy a team environment full of fun, hard work, and rewards. If you have a passion for the Companion Air concept and enjoy a relaxed environment where everyone does whatever needs to be done, where each person’s work is important, and where each team member is accountable for his or her results, then we would love to talk with you about the Companion Air team. 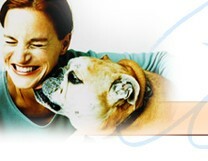 In seeking new team members for Companion Air, we look for pet lovers with exceptional attitudes, passion, and energy. While some positions may also have technical requirements, we believe that attitudes are most important. Most of our opportunities will be in Long Beach CA or South Florida initially but as we expand, we will have flight crews located around the country. The following are current openings with Companion Air. Please note locations and start dates. TBD – Most current openings have start dates or locations that are yet “To Be Determined” pending determination of our first flight launch date and roll out plans. Please check this page often for updates. Please send your resume (Word) and geographical preference to employment@companionair.com or fax to (561) 422-2204.